Home / News / Retired Military Officer to Trillanes: "Manahimik ka at sumuko ka na sa militar! 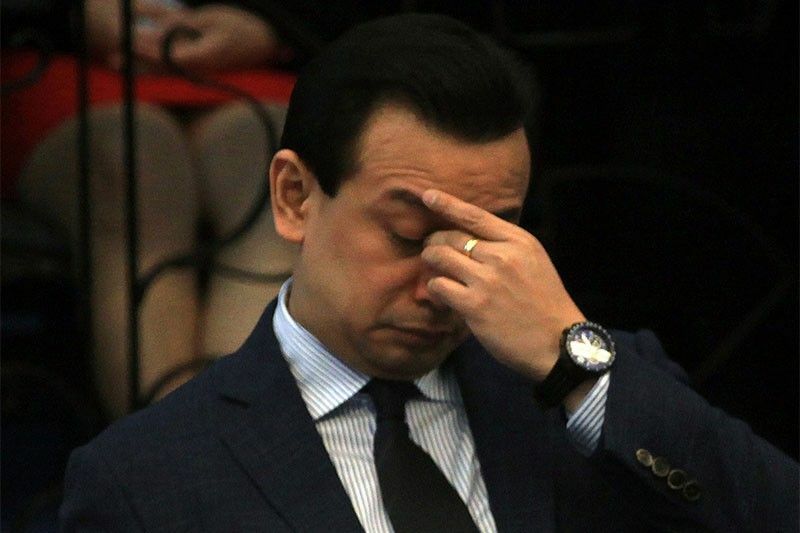 Save yourself from further shame, humiliation"
Retired Military Officer to Trillanes: "Manahimik ka at sumuko ka na sa militar! Save yourself from further shame, humiliation"
Manahimik ka na lang muna at mag surrender sa militar at magdasal! 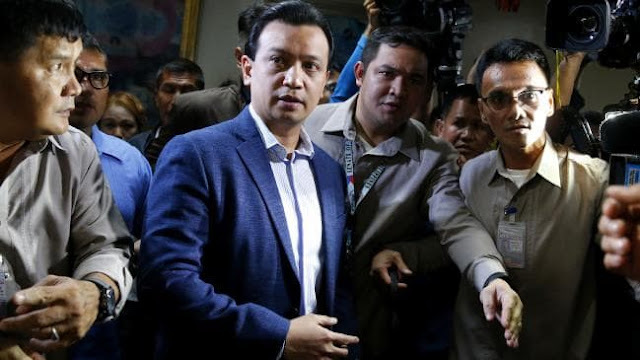 The issue surrounding the Proclamation of President Rodrigo Duterte voiding the amnesty extended to the opposition Senator Antonio Trillanes IV has been the talk of the town since it was publicly released and still continue circulating through social media. Duterte invalidated the grant of amnesty to the mutineer-turned-lawmaker in 2011 for failure to comply with its minimum requirements, such as filing an Official Amnesty Application Form and admitting guilt over crimes committed when he participated in military uprisings. Duterte's Proclamation No. 572 had earned the majority opinions of the Filipino netizens who also shares their standpoint on the case. A former member of Philippine Army's elite Scout Ranger regiment, Major Abraham "Abe" Purugganan did not hold his punches on his Facebook post he recently published against Sen. Trillanes, who was a former Navy lieutenant involved in a military uprising against the unsuccessful attempts to overthrow the Arroyo administration over alleged corruption. In his post, Purugganan urged Trillanes, one of the vocal critics of Duterte administration to fight and defend himself on the case filed against him in a proper convention and not using the media where he himself appears in a several interviews and colleagues were most of them are only using hype of the issue planting for their own political agenda. He also warned Trillanes to stop giving threat to people, and those of from the government troops as majority of the Filipinos are not frightened to come against him. "Stop threatening people especially the military and police. Hindi mo sila matatakot. Ikaw dapat ang matakot." he pointed. "Consider the fact that the majority of the Filipino people do not like you.The more you talk, the more they will come against you." he further said. 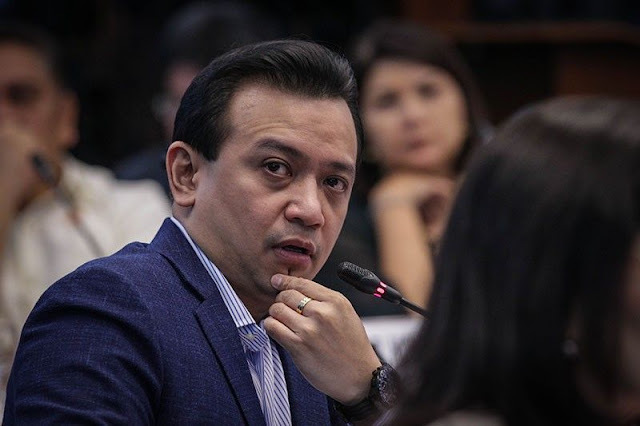 Sen. Trillanes in response to the President's proclamation has challenged President Duterte’s order to nullify the amnesty granted to him asking the High Court for a temporary restraining order against the implementation of the proclamation No. 572. It can also be remembered that it was Former President Benigno "Noynoy" Aquino, granted the amnesty to Trillanes and several other military rebels in 2011, leading to his release from detention who also questioned Duterte's proclamation. Hold your peace, Mr. Trillianes. Save yourself from further shame and humiliation. Fight your case in the proper forum if you strongly believe you can defend your case, not thru the media and your allies who make you look like a fool. Do not believe everything your lawyers and the liberals say. Gagamitin ka lang nila to prop up their names and their political interest. Stop threatening people especially the military and police. Do not forget that you are at their mercy. Hindi mo sila matatakot. Ikaw dapat ang matakot. Consider the fact that the majority of the Filipino people do not like you. The more you talk, the more they will come against you. Manahimik ka na lang muna at mag surrender sa militar at magdasal. Humble down. Stop making a circus at the Senate and making yourself and everyone there look like clowns. And Mr. Senate President, respect the law and the decision of the executive branch, and turnover Mr. Trillianes to the AFP. Let the courts and concerned agencies do their duty. Save our people from further political ruckus.